Congratulations!!!! That is a HUGE accomplishment! Thank you for sharing your story and intimate details; I know its a lot to put out there, but it helps to really understand how others are getting out of debt and how I can apply it to my life. Kudos to you both!!! Thank you!! I’m glad it struck a chord with you! Congratulations to you both! What an achievement! I remember reading your first post about Dave Ramsey and the Total Money Makeover 3 years ago! My husband and I started Dave’s plan around the same time, but stopped before we really got started. A series of unfortunate events and the sudden death of a young family member made us think twice about putting our dreams on hold. We bought our house, welcomed our son in 2015, and will be completing our family in June with the birth of our daughter. Our next dream is to become debt free, and your success has truly been an inspiration to get us back on the bandwagon! Congrats again, I’m so proud of you! Aww, thanks!! I remember when you commented back then and said you were doing it too. I’ve thought of you occasionally since then and wondered how you guys were doing! So sweet to see that you still have followed along here, even when I don’t post very much! I’m so happy to hear about your lovely little family! That is something that I always struggle with — the idea of putting dreams on hold, especially when you aren’t guaranteed tomorrow, but it was the right move for us in many ways. My dreams and plans have really had the opportunity to grow (career-wise at least) because I was patient with them. Hopefully one day we’ll have that lovely little family too! 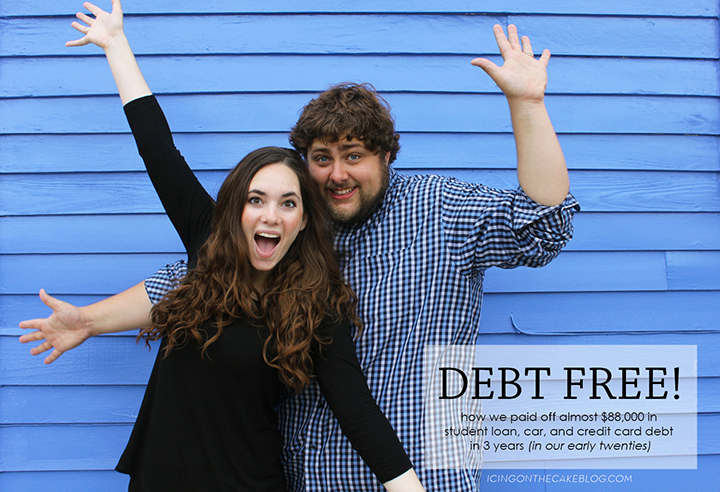 Best of luck to you guys as you start your debt free journey again!